I doodle my ideas, then delve further adding colour or explore characters in different positions. Sometimes I look up a picture and draw it changing details until it feels mine. 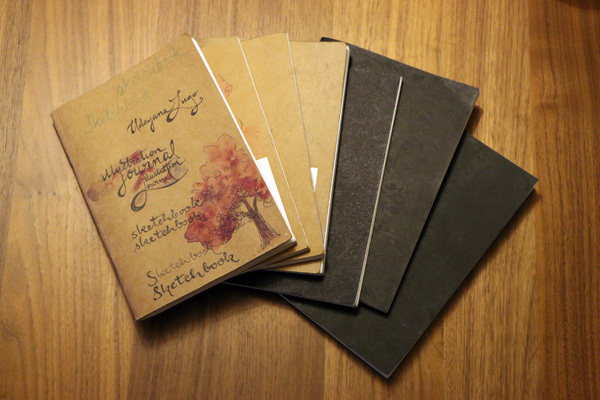 Some of my sketchbooks. I keep one of these in my handbag, and sketch whenever, wherever I have time. I drew these for my son's birthday favours. Woodlands inspired by a mini-holiday in Bowen Island.